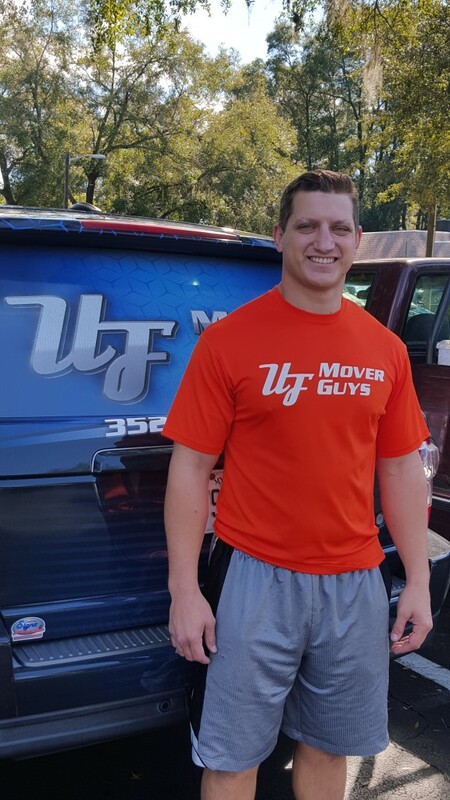 There is a great brotherhood here at UF Mover Guys. In my spare time, I like reading books, grilling, and fishing. I came to Gainesville for school. I would move Donald Trump because he would probably tip well. My favorite moving story is the time that Eric and I were called for a load swap in Tampa. The trucks never showed up, so we just fished the whole time.